Touring in Winter 2019, the Czech National Symphony Orchestra (CNSO), Conductor John Mauceri, and Mezzo-Soprano Isabel Leonard will celebrate the legacy of Leonard Bernstein with a program of "100 Years of Leonard Bernstein”. John Mauceri, mentee and conducting fellow with Leonard Bernstein himself who conducted the World Premiere of Bernstein's “A Quiet Place”, and Isabel Leonard, critically acclaimed for her performances of Bernstein repertoire, join CNSO in a glorious marking of the world renowned American composer, conductor, and pianist's 100th birthday celebration. Celebrating its 23rd birthday in 2016, the CNSO has gained a position among both Czech and Europe’s top symphonic ensembles. Renowned for its versatility, the orchestra annually presents a broad program ranging from classical music concerts through contemporary genre, film scores, jazz, or musicals. In its new era, The Czech National Symphony Orchestra is also organizing summer Prague Proms Festival which annually attracts the audience for presenting greatest international performers. 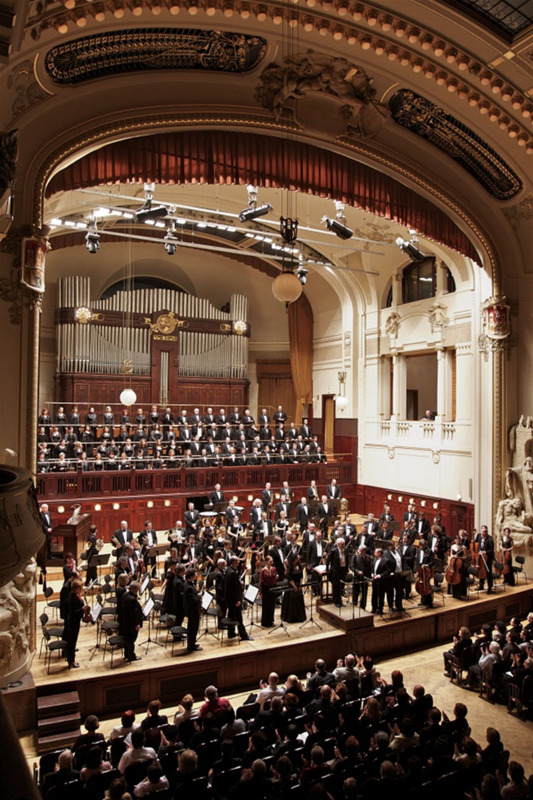 Such composers, conductors, and performers as Ennio Morricone, Lalo Schifrin, James Morrison, Pino Donnagio, Giuliano Taviani, or Steven Mercurio repeatedly come back to Prague to either record with the orchestra in its studio or perform in the beautiful Smetana Hall of Prague's Municipal House, the home concert stage of the orchestra. Besides concerts in auditoriums and concert halls, the CNSO has accompanied some of the most important pop artists of our time, among them Andrea Bocelli, Sting and George Michael. Successful tours have taken place over the British Isles, France, Germany, Spain, Dubai, Japan, Korea, China, Mexico, Australia, and New Zealand. Among the highlights of the last concert season undoubtedly belonged the collaboration with Vince Mendoza, one of the best contemporary crossover conductors, and world renowned trumpet player Randy Brecker. On the classical field, the orchestra renewed its longtime cooperation with Andrea Bocelli. Launched in the spring 2013, a European concert tour of Rolando Villazon has been accompanied by the CNSO. The Czech National Symphony Orchestra was established in 1993 by trumpet player Jan Hasenöhrl. A spiritual father at the birth of the CNSO was the legendary conductor Zdenìk Košler. In the year 1996, the American Paul Freeman took over as Chief Conductor, and remained in this position for fantastic ten years. At the beginning of the year 2007, Maestro Libor Pešek was named the Chief Conductor and he still remains at this position today.